An appealing, affordable remake of a milestone. 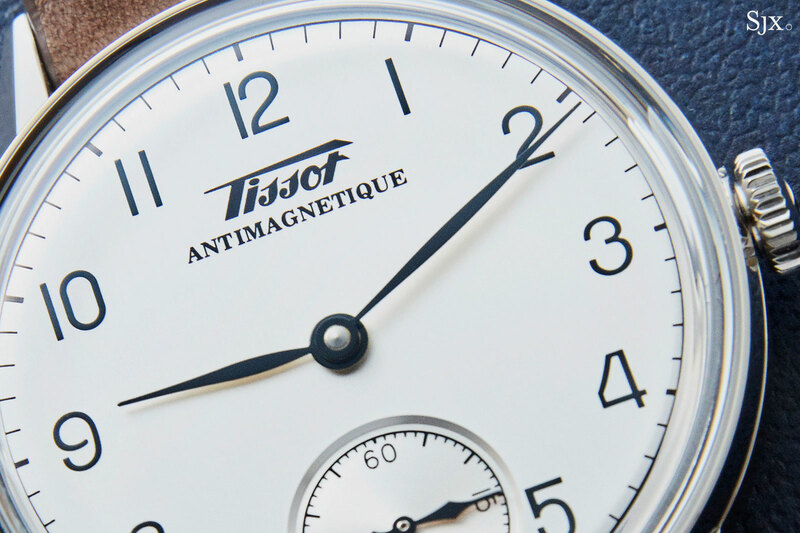 One of Tissot’s historical claims to fame is its invention of the first mass-produced antimagnetic wristwatch, the Antimagnetique. 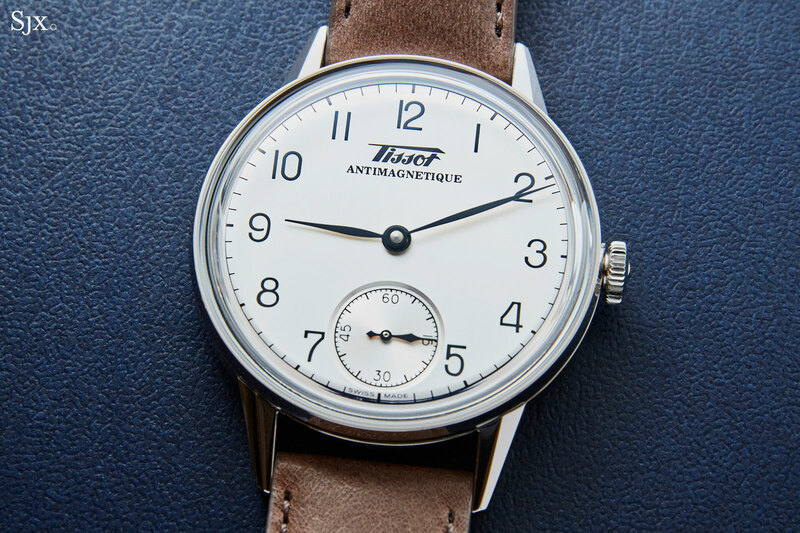 Tissot introduced in the Antimagnetique in 1930, though antimagnetic pocket watches had been invented in the late 19th century. Like many other magnetism-resistant timepieces, including modern-day ones, the Antimagnetique relied on special materials for the escapement, specifically a hairspring made of a palladium alloy. Iterated across different cases, dials and movements, the Antimagnetique line remained in production up until the mid 1950s, by which time a modicum of magnetism-resistance had become a standard feature of most wristwatches. 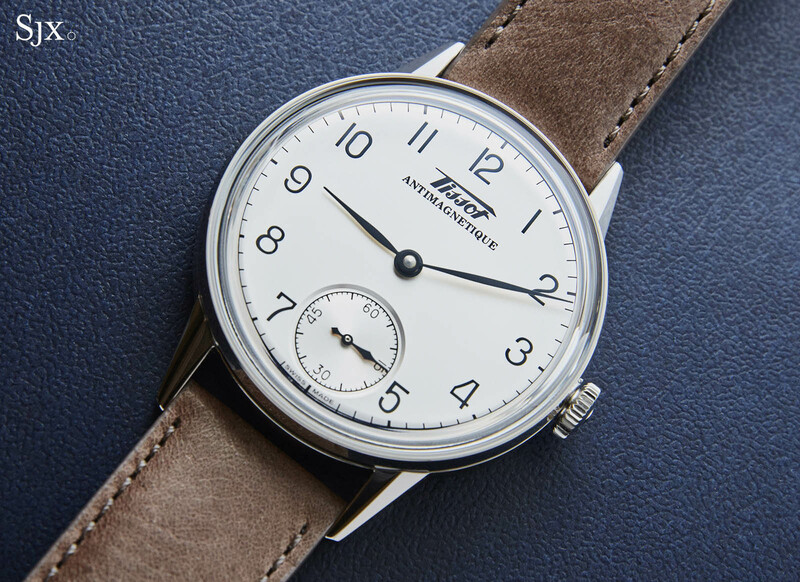 This year the Antimagnetique makes a comeback, at least stylistically, with the Heritage Petite Second, a remake of an Antimagnetique from 1943. And like most Tissot watches, it’s a strong value proposition for notably little money. While both the remake and original are equivalently affordable in their time, the modern-day Antimagnetique is a substantially more robust watch, illustrating the tremendous advances in watch manufacturing. Like many other entry-level watches of the period, the original had a case made of chromed nickel, which tends to wear away and pit over time. 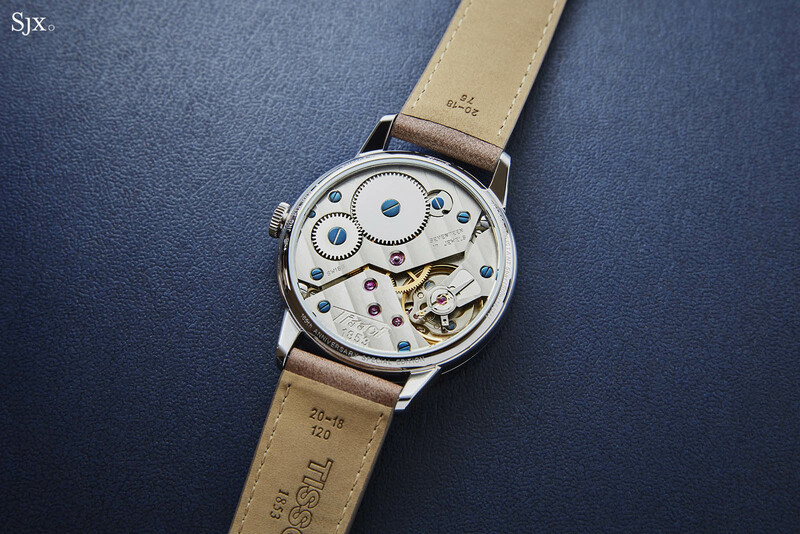 In contrast, the Heritage Petite Second has a stainless steel case that’s a large 42mm in diameter. It has polished top surfaces and brushed sides, with sharp, faceted lugs as well a “box-type” sapphire crystal to mimic the domed PlexiGlas on the original. And it’s rated to a respectable 50m. 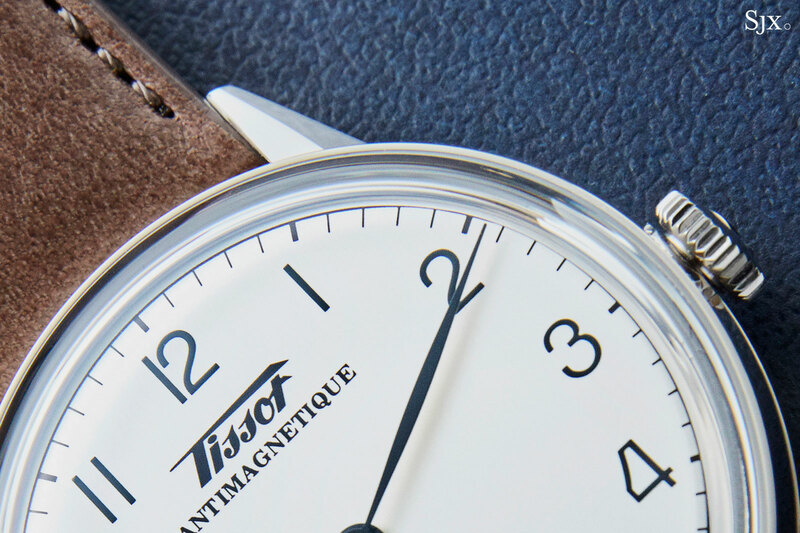 As with all Heritage models, the Heritage Petite Second features Tissot’s historical 20th century logo. The dial has a clean, silvered finish with a vertically brushed surface, framed by a thin bezel, both of which leave the watch looking slightly larger than it actually is. Large Arabic numerals are printed in black lacquer, matching the slender, leaf-shaped hands. The retro styling even extends to the recessed sub-dial at six o’clock, with the seconds indicated by a lance-shaped hand. The Heritage Petite Second remains an epitome of the classic, mid-century “tool” watch. Because despite the large size, the proportions of the original have been preserved thanks to a suitably large movement and also a relatively narrow lug width. 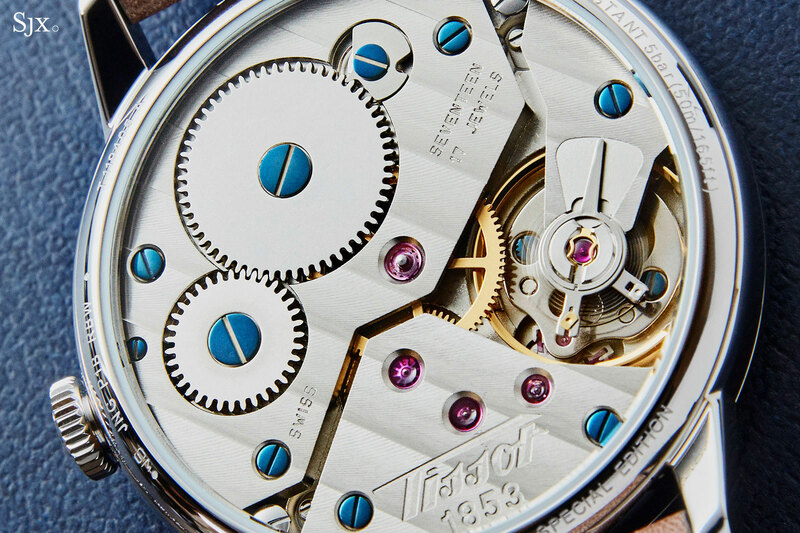 It is powered by the hand-wound ETA Unitas 6498-1, a large movement originally developed for pocket watches. Visible through the sapphire case back, the movement is stock, but still dressed up with Geneva stripes and blued screws, giving it an appealing aesthetic for the price. Though the prototype pictured features the charming “Antimagnetique” script below the logo, the production model unfortunately will do without it. That is because the watch is not antimagnetic beyond the norms for a modern movement. According to the criteria laid out in ISO 764:2002 for “magnetic resistant watches”, a watch must resist a direct magnetic field of 4,800 A/m, which is merely a quarter the pole strength of a common household magnet. In contrast, modern day antimagnetic watches boast magnetism resistance more than 20 times that, thanks to either soft iron shielding (also known as a Faraday cage) in the case of the Rolex Milgauss, or proprietary alloys in the escapement with Omega’s Master Co-Axial METAS. But for just under US$1000, Heritage Petite Second represents great value, combining bona fide historical styling and solid build quality. The Heritage Petite Second (T119.405.16.037) is priced at US$995 or S$1510, and is already available at Tissot boutique and retailers.